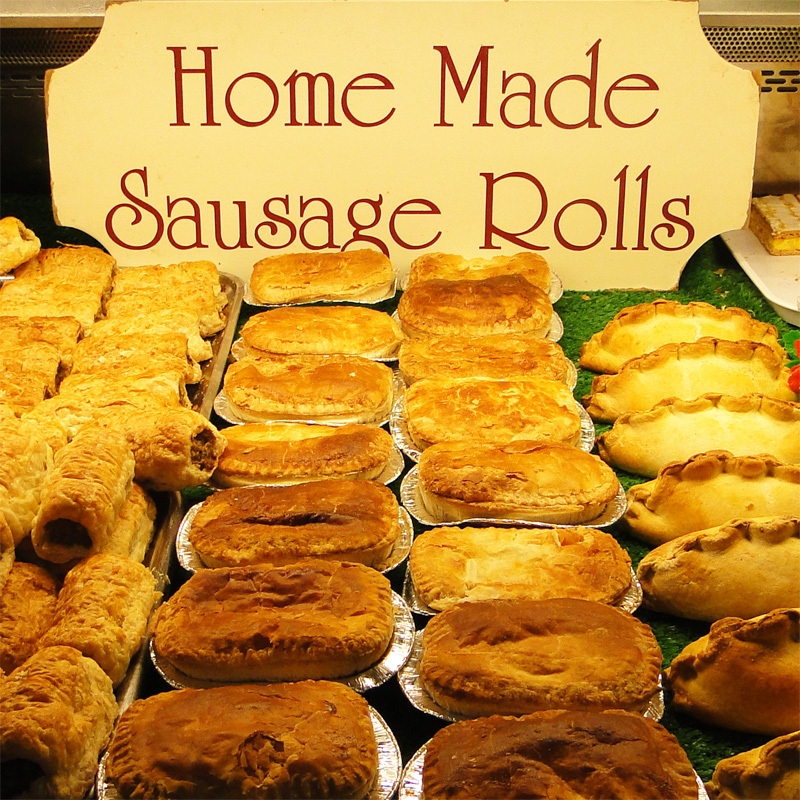 Our aim is for our customers to leave our premises happy in the knowledge that they have purchased the finest fresh meats, exotics, breads and locally produced products available anywhere. Bailey RIchards lets see how real morning sorts you 6am start fir the apprentice #sleepingbeauty. Aberdeen Angus Beef Joints £9.99 a kilo ends Saturday at 12 o’clock. Grab a bargain while you can! ⭐️ A selection of local chutneys, curds and jams. ⭐️ Gluten, wheat and milk free biscuits and tarts. ⭐️ Gluten free cooking sauces perfect to throw in the slow cooker for an easy tea. ⭐️ Local eggs and honey. ⭐️ The amazing SoSo salts in a huge variety of flavours. ⭐️ Gluten free meatball kits. We are fortunate to be able to purvey our meat supplies from John Penny at Rawdon. His award-winning herds mean that our shop is well stocked with fully traceable, quality beef cuts that have a superior taste. We also buy locally reared lambs from West Halton and, when available, locally reared Old Spot Pork. 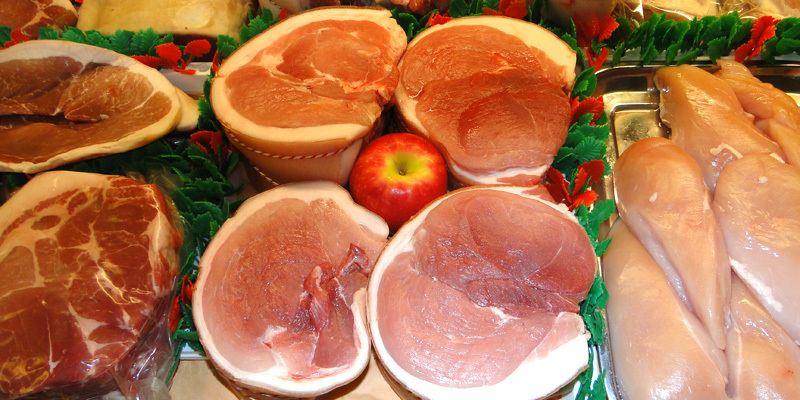 Our free range, home-cured bacon and gammon steaks are supplied by the award winning Anna’s Happy Trotters. Our Pork Pies are currently receiving great plaudits from customers old and new. The recipe is no secret – it’s just top notch pork, well prepared hot water pastry, salt, black pepper and lots of love for the product – that’s all! Why not visit our shop in Winterton and try our homemade breads! We bake a range of whites, wholemeal, mixed seed and granary loaves and there really is something for everyone! Whether it is a freshly made sandwich or a full spread for a dinner party, come and talk to us – we are sure we can fulfil your expectations. 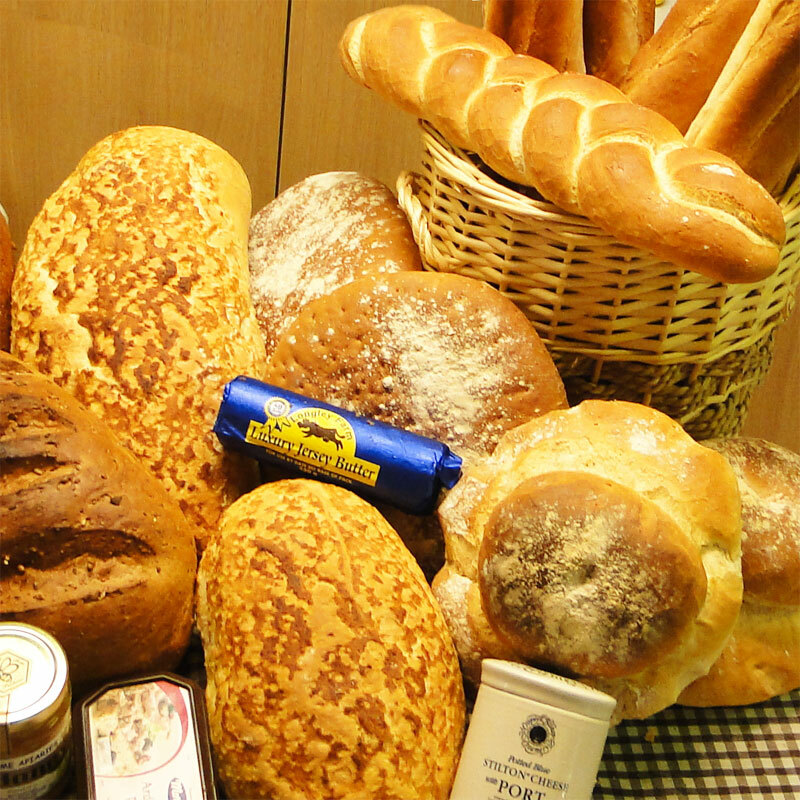 Our family craft bakery produces delicious breads and pastries using the finest ingredients. Our products range from traditional favourites to specialist, artisan lines and some of are hand-made to traditional family recipes. 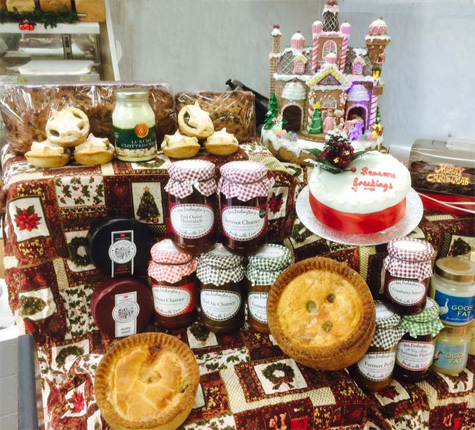 As more people search for quality, local, homemade products, our bakery has continued to expand its product range. Our many regular customers, both from local villages and from further afield, are a testament to our quality products and service. Whether you’re in search of the perfect birthday cake, delicious danish pastry or a wide variety of rich cookies and muffins, we have the fayre for the most discerning tastes. 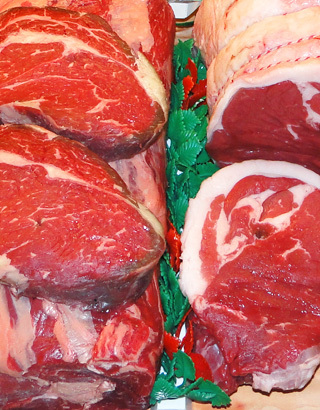 We stock a large range of locally-sourced beef, pork, lamb and poultry products as well as our ‘exotics’ selection. We have our own on-site, fully functional bakery and are pleased to say that we produce over 90% of our bakery stock. As well as our lunch-time sandwiches and pies etc., we can provide catering for any special occasion or corporate event. Our beef suppliers include John Penny from Rawdon and Richards of Howden who also supplies us with quality pork. In addition we use pork from pedigree, locally reared Gloucester Old Spot pigs, direct from a local farm. Our bacons and gammon are sourced at Anna’s Happy Trotters from Howden. We also keep stocks of Scottish sirloin steak from Millers of Speyside. Where possible we buy our lamb direct from local smallholders around the Winterton area many of whom rear rare breeds such as the Kerry. Our poultry is also supplied locally via Peckmill Poultry of Market Rasen. Our range of exotic meats is supplied by Kezie in Berwickshire. We use many top-quality suppliers for our baking ingredients among them, Ireks of Germany – probably the world leader in bread development. 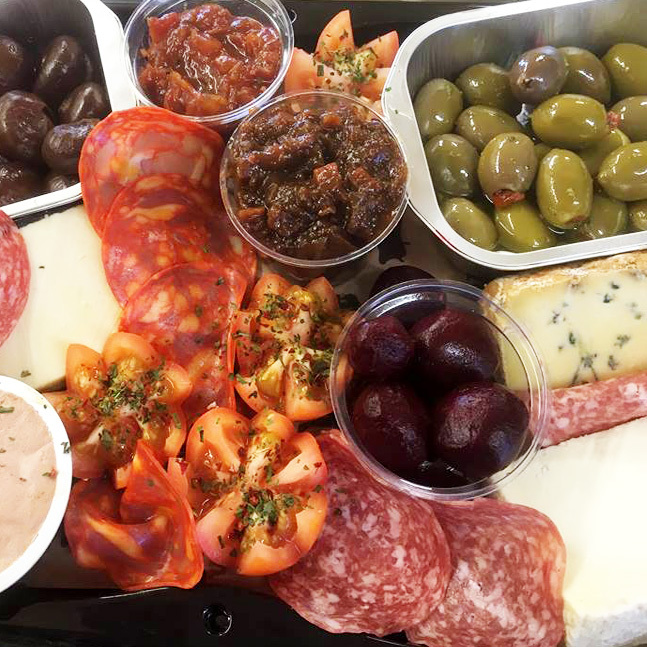 Many of our Deli items are sourced from Dorset-based Olives Et Al who firmly believe that enjoying good food is one of the central elements of a happy life and adopt a Mediterranean approach to their produce. We supply a range of local cheeses, wrapped and ready to go! We regularly offer special deals and seasonal collections on a range of products from BBQ ‘kits’ to Christmas Hampers, Competitions and Giveaways. Please check our Facebook page for the latest information. We pride ourselves on the quality, taste and consistency of all our meats. 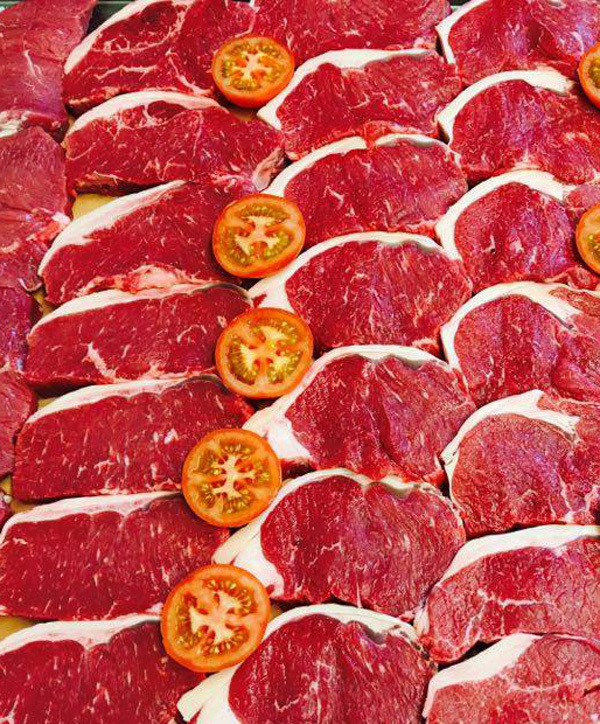 We expertly trim all meat cuts to an excellent standard resulting in quality steaks, roasting joints, fantastic chops and many other great cuts. "Jason Gray provided a buffet for me and my family, catering for 350 people. Everything was homemade and, despite the hot weather, beautifully fresh. The variety and quality of the food provoked a great deal of comment from a large number of people, many of whom had travelled long distances. It was superb." "We have dealt with Jason for many years now and have always found him helpful and pleasant to talk to. He has supplied us with a number of buffets for various special occasions which have always been superb. His pork pies are to die for !!! We will continue to buy and deal with Jason and his wife." "I simply will not buy fresh meat from anywhere else." "Gray's Butchers are one of Winteringham Fields butchers of choice. We find their flexibility and customer service outstanding, nothing is ever too much trouble. It is very important to me that my suppliers are as passionate about local produce as I am and as such I am delighted to use their meat in my restaurant." "Excellent products and very friendly staff." "For top quality meats and poultry at Supermarket prices and fresh baked breads and rolls and great service, Jason Gray’s can’t be beaten. Also his cakes are to die for."